Last year, Mass Effect producer Casey Hudson said Bioware was interested in the possibility of a Mass Effect motion picture. Besides a confirmation of its development by Legendary Pictures, little has been said of the project since. On Friday July 22nd at Comic-Con, details will finally be given at a panel by Casey Hudson and Mark Protosevich, the movie’s screenwriter. One question about the project stands above the rest: will it be an adaptation of the Commander Shepard story from the games, or will it be a new story in the Mass Effect universe? When considering the fact that choice is a major feature of the Mass Effect trilogy, some fans of the franchise are vehemently opposed to the idea of a Shepard adaptation. Gender, appearance, and morality are just the tip of the iceberg of possibilities. Each person’s version of the Mass Effect plotline is different based on who lives and who dies. There’s a reason details on Commander Shepard are either never mentioned or incredibly vague in the books and comics. 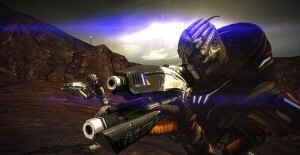 Bioware has said that they do not want them to conflict with any player’s story in the games. That’s how Mass Effect fans can maintain their suspension of disbelief when both playing the games and reading the books. 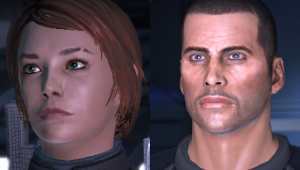 Mass Effect and Shepard are different and personal for everyone. Likewise, it’s impossible to appeal to even half of Mass Effect’s fans if they put Shepard in the movie. Not only do background and gender make a difference, but a Shepard who is completely Paragon is very different from one who is fully Renegade, and both of those possibilities are distinct from any of the infinite variations in between. What would the Shepard of the movie be like? To choose just one path of the many could be seen as an insult to players of the games or an excuse to make one canon version of Commander Shepard and his or her story. On the other hand, the familiarity of a Commander Shepard story would be a strong point in its favor. Going down the other path – making a completely new story in the same universe – could risk alienating fans who are only interested in the main plot of the games. Both possibilities have their benefits and drawbacks. Personally, I’d like the movie to be about the First Contact War. The very first scene could show the discovery of the Prothean ruins on Mars and the Mass Relay, then jump right into the sudden appearance and war with the mysterious Turians. There’s a lot of room for a linear, set-in-stone story right there, one that would relate strongly to the games but also be independent from Commander Shepard’s story. 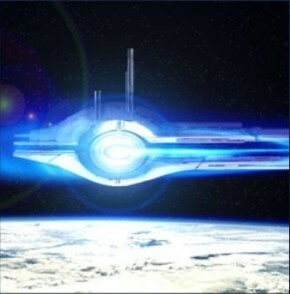 It would be a perfect, understandable introduction to the Mass Effect universe for mainstream society. To me, it seems to be one of the best options. Whatever story they’ve decided on, we’ll find out very soon. What would you prefer: a version of the Commander Shepard story, or something new? If the movie follows the games’ main story, would you prefer male or female Shepard? Yes, I would agree that a “first contact” story would be the best premis for a film. A great perspective would be Captin Anderson and focusing the story on him. Mabe a cameo with Jack (Illusive Man). But we have had a similar story from the latest Star Treck film, I dout that’s on the cards.